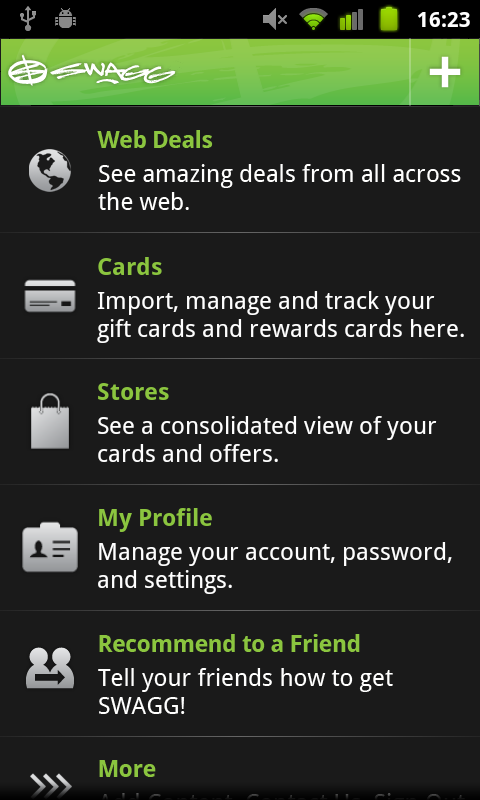 SWAGG™ is the app that lets you manage your store gift cards and loyalty accounts and shop smarter. Organize all your old school plastic gift and rewards cards in Swagg. For many of these cards, currently more than 250, Swagg can automatically get your latest balances. You can track all the cards you keep in your wallet on your phone. You also get access to the latest sales and deals at national merchants through Swagg's Web Deals. Swagg helps keep you and your gift and loyalty cards organized.